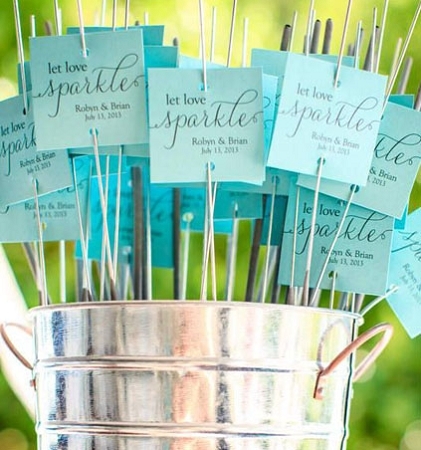 Display Your 36 Inch Wedding Sparklers in this 15'' Galvanized Sparkler Bucket! 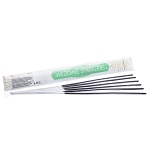 For extra effect, consider adding our wedding sparkler tags to each sparkler! 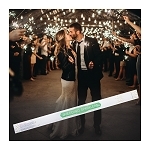 FREE SHIPPING when purchased with wedding sparkler packages! I brought the 15" galvanized bucket to display my 36" sparklers during my daughter's wedding reception. 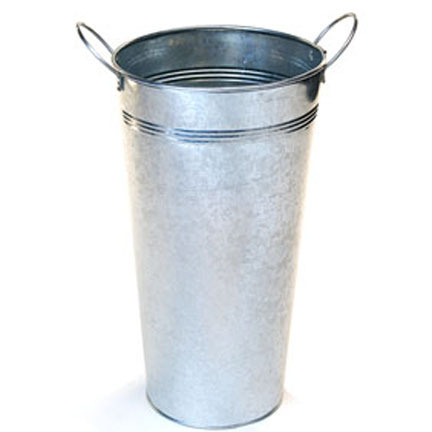 I used the same bucket to discard of all the used ones after the bride and groom left. I will say they display beautifully in this bucket. I placed it on the floor next to the table that had the sparkler sign. The only problem was the sand I used was a little too tough to place the used sparklers back into. Once the sparklers have been used, they become flimsy and of course too hot to handle. So, I just recommend using very fine play sand and not too much of it. Other than my mistakes, this item is perfect!! These display buckets were perfect for the tall sparklers!! We put sand in the bottom and they stood in there perfectly!! 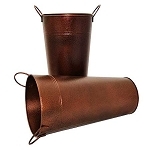 It's so nice they sell them on here so we didn't have to go and hunt for a bucket for them. Highly recommend! !